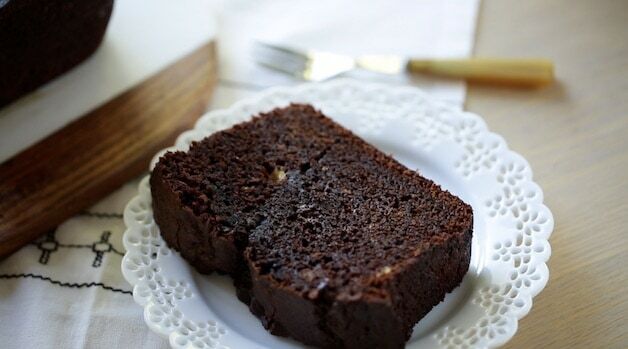 If you liked my Ultimate Banana Bread recipe then you’ll LOVE my Chocolate Banana Bread recipe! 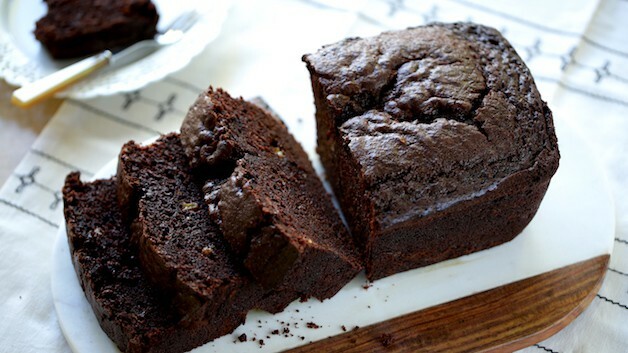 It’s super moist, rich and extra chocolatey! It’s easy enough for a weeknight treat, but also a great recipe for weekend entertaining. 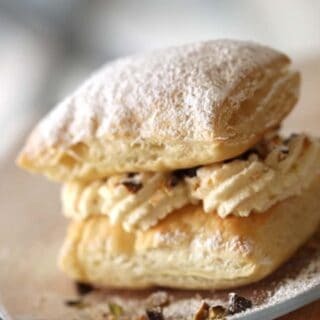 Watch My Step-by-Step Video on this Recipe Below! 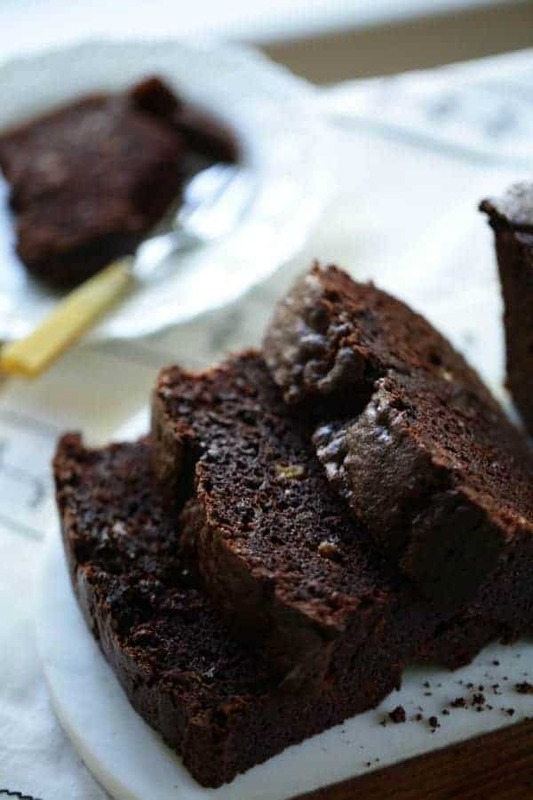 To get the rich chocolate flavor, you’ll use two types of chocolate. 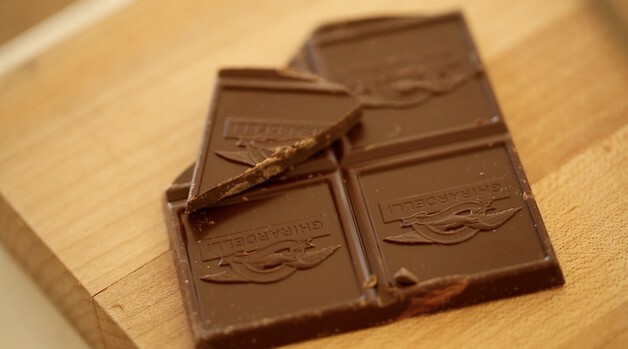 Start with 2 ounces of bittersweet chocolate. 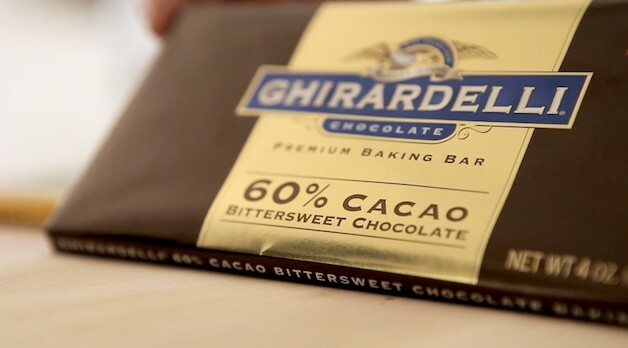 When shopping for chocolate look for something that is at least 60-70% cacao. This will give you the best flavor. 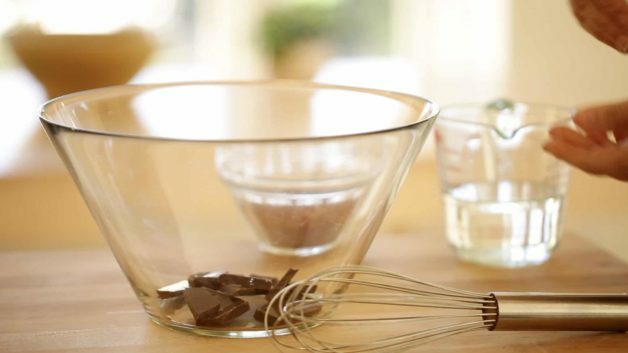 Break the chocolate up into small pieces and add to a large bowl. 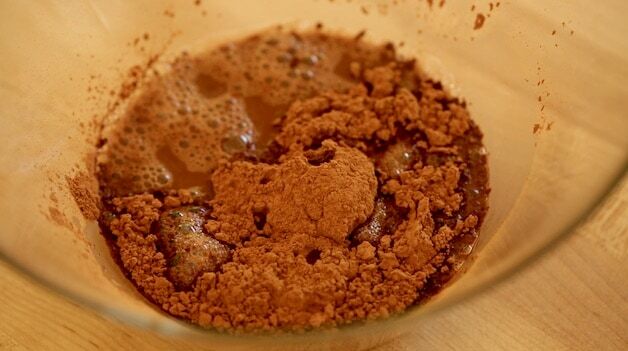 Then add the unsweetened cocoa powder. 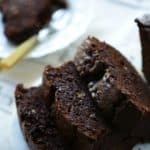 It’s this combination of the bittersweet chocolate and unsweetened cocoa powder that creates the richest, most chocolatey flavor! 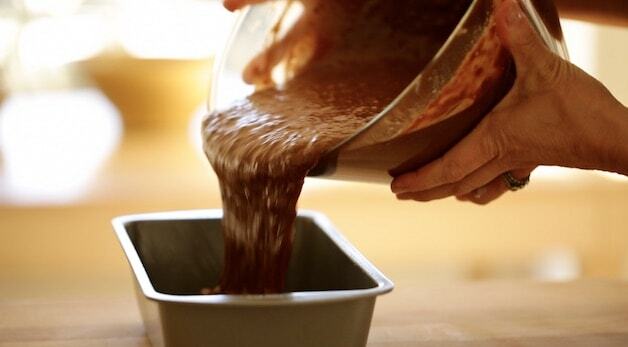 Next you’ll add hot water on top which will “bloom” the chocolate and bring out its best flavor. 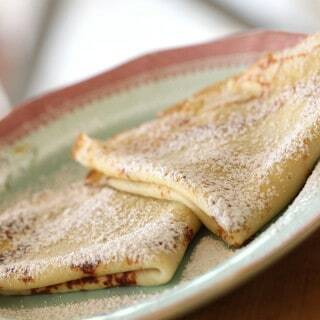 Add the vanilla, the eggs and sugar. 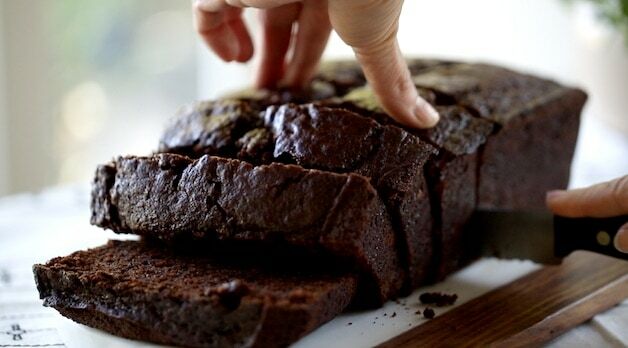 How to Create a Moist Chocolate Banana Bread? Getting a moist banana bread really boils down to two factors. First, use oil over butter. Oil is a pure fat and will create a really moist bread. The second factor is baking time. Do not over bake this bread! Depending upon the depth of your loaf pan, bake for anywhere from 50 minutes to 1 hour and 5 minutes. TIP: Since loaf pans are so deep, the best way to test the bread for doneness is with a long skewer. It’s OK if it comes out with a few wet crumbs but should not come out with liquid batter on it. 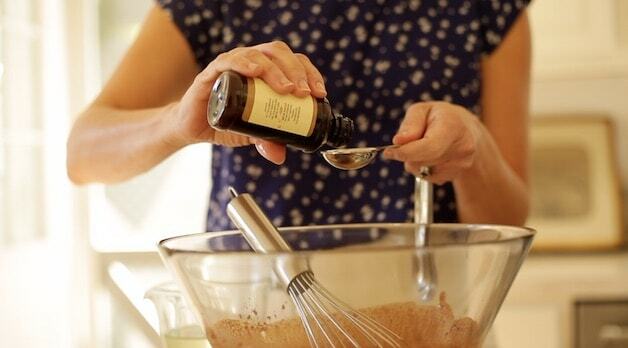 Whisk the dry ingredients together and then add them in thirds until combined. 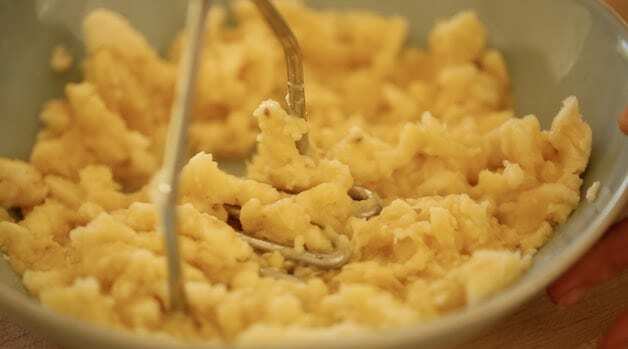 Do not over mix the batter or your bread will be tough. Your bananas should look like this at a minimum. In fact, my motto is the uglier the banana, the better the bread! What Happens if Bananas Aren’t Ripe Enough for Banana Bread? 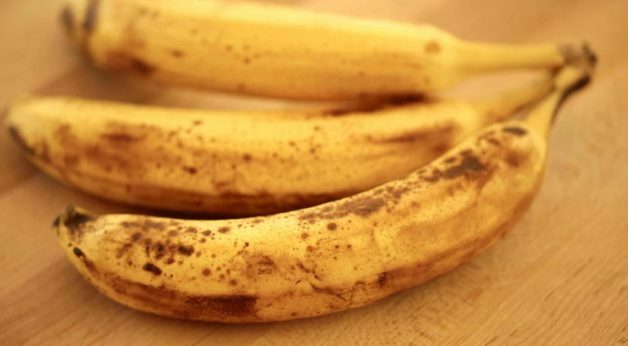 If your bananas are not ripe enough your banana bread will not have much flavor or sweetness. The riper your banana is the more sugar content it will have which brings out the sweetness as well as the banana flavor in the bread. Be sure to allow your bread to cool completely before slicing. It’s such a delicate bread that it needs the extra cooling time to set up. It will be easier to slice that way and you’ll have less crumbs! TIP: This bread is even better when you can make it the day before. Just keep it in the tin, covered, at room temperature. Enjoy!! PS: Do not be left home alone with this bread! 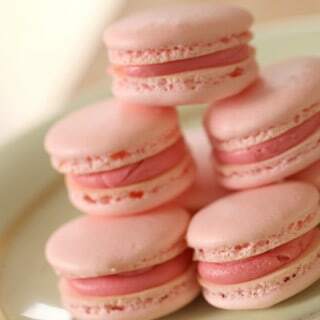 It’s seriously addictive and you’ll find yourself going back “for just one more nibble!” until the whole thing vanishes! Just saying! 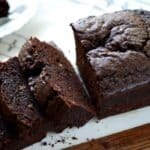 This bread is super moist, rich and extra chocolatey! 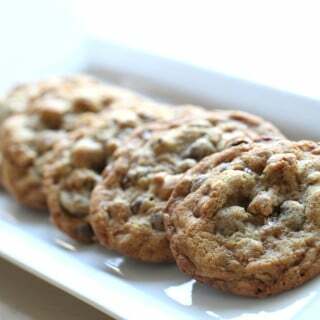 It’s easy enough for a weeknight treat, but also a great recipe for weekend entertaining. This bread is even better when you can make it the day before. Just keep it in the tin, covered, at room temperature. I think this *almost* beats your double chocolate cookies recipe, it was SO simple to make and put lots of smiles on people’s faces! Its sooooo moist and light and bananary. I baked mine in a miniature loaf tray which made 8 little cakes, and there was batter left over to do another batch. I ran out of caster sugar and had to use half granulated, and thought it would make the cake heavier but they were light and fluffy as a feather. 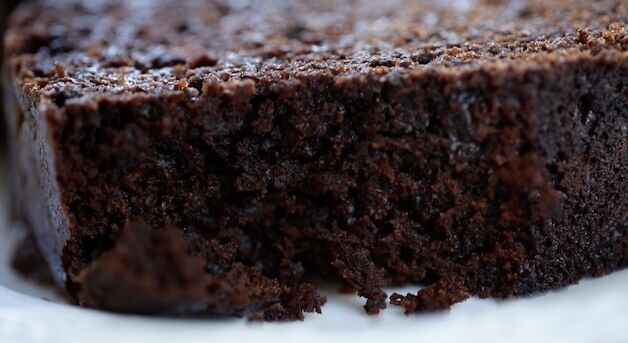 I couldn’t really taste the chocolate but it definitely makes the outside of the cake gorgeously glossy and smooth! I think you just made me discover my new favourite cake. Happy New Year Beth! I used this recipe as inspiration to take my Zucchini bread to another level. 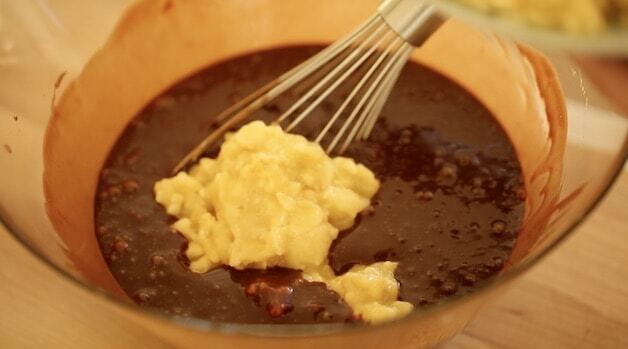 I just took my recipe and added the 2 types of chocolate melted with boiling water. Soo delicious!! Thanks for a great idea!